Who could the Dodgers target if the Mariners go into a full rebuild? The Dodgers and Mariners have a substantial trade history, as Andrew Friedman and Jerry Dipoto have made a couple of trades in recent years. 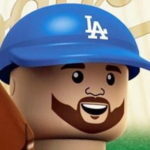 The most famous (or infamous, from Seattle’s perspective) is the Zach Lee-for-Chris Taylor deal in 2016. It was a straight 1-for-1, with both teams giving up on former top prospects. 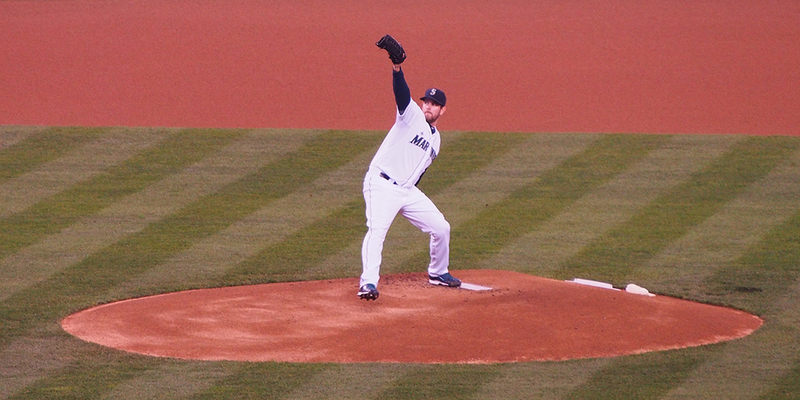 It looked like a decent gamble for the Mariners, but Lee didn’t pan out while we know what happened with Taylor. The other notable deal was a bit more minor, as the Dodgers acquired infielder Drew Jackson and right-handed reliever Aneurys Zabala for Chase De Jong. Zabala was traded to the Reds in July (along with James Marinan) for Dylan Floro, while De Jong was sent to the Twins at the end of July (with Ryan Costello) for Zach Duke. A lesser-remembered deal was following the 2016 season that saw the Dodgers send Carlos Ruiz to Seattle for Vidal Nuno. Nuno was then sent to the Orioles for minor-league right-hander Ryan Moseley, who is still in the org. There was an even more minor deal in December 2015 that saw the M’s send left-hander Tyler Olson to LA for cash (he was designated for assignment). The Dodgers then spun him and Ronald Torreyes for Rob Segedin. Bottom line here is, the Dodgers and Mariners have a good working relationship, and it seems there could be a deal or two to be made this winter because there is a report that the Mariners are considering an all-out rebuild. The M’s, coming of an 89-win season, are clearly a solid team but not good enough to earn a playoff berth in the American League as currently constructed. Nelson Cruz is also a free agent, which means they’d have another hole to fill in hopes of somehow winning enough games to be … the second wild card team? While you’d think it’d be an intriguing proposition for a team that hasn’t been to the postseason since 2001, they’d likely get bounced by a potential 100-win team in the Yankees or even the A’s — both of which are clearly better and in a better position to be successful in short- and long-term future. The Mariners’ farm system is lacking in upper-echelon prospects. They have a solid Top 3 in Kyle Lewis, Evan White and Logan Gilbert, but they’re definitely not “can’t-miss” guys. So, you can see why they might be considering blowing things up. Having said all that, you have to wonder if there’s an opportunity for the Dodgers to strike here. Seeing as Friedman and Dipoto have a good history together, let’s see who might be available and who might make sense for the Dodgers. Diaz would look amazing in the bullpen, but he has four years of team control remaining and would cost multiple top prospects (think Alex Verdugo, Keibert Ruiz and more). While trading for a young, controllable reliever would be great, I’m not sure the Dodgers spend the necessary prospect/young player capital to get him. Gonzales just signed a 2-year pre-arb deal and will cost the M’s all of $1.9 million over the next two seasons. If he can replicate his 3.43 FIP/3.6 WAR seasons, he’ll be an incredible value. Haniger would probably cost even more as he’s 27, is coming off two seasons in which he has posted a 130 and 138 wRC+. They have no reason to move him. Paxton, 30, is the biggest name here. He followed up a bit of a breakout 2017 campaign (2.98 ERA, 2.61 FIP, 21.6 K-BB%, 4.6 WAR) with a more durable 2018 season that saw him post a 3.76 ERA, 3.24 FIP, an elite 25.7 K-BB% and 3.8 WAR. A lot of teams are gunning for him and for good reason. He seems to fit exactly what this front office prioritizes in its pitchers. He may not ever be a 200-inning guy, but he’s going to be a near-elite pitcher over the course of 150-170 innings a season. Segura is an interesting guy (and Allan is planning to write about him in depth). He’s mostly an above-average defensive shortstop who has been roughly a 3.5-win player the last two seasons. He can also hit a little bit and doesn’t strike out (10.9 K% in 2018). If he were brought in to play second base, he could be a stabilizing force there. He’s signed for four more years at $58 million ($1 million buyout in 2023 included), but he also has a team option for ’23 at $17 million. Going into his age-29 season, he might be worth the gamble. He does have a full no-trade clause, so that could be a bit of a snag. But if he wants to win and the M’s are blowing it up, maybe he’ll be more willing to waive it (for some compensation, of course). Colome, 30 at the end of the calendar year, might be bet in terms of acquisition cost and fit. He’s coming off a season that saw him move from Tampa Bay to Seattle and he had a decent season overall: 3.04 ERA, 3.44 FIP, 18.1 K-BB%. He misses bats and gets a fair amount of ground balls (46.2 GB% in 2018), which is a good recipe. The only negative I can really see is his repertoire. He’s a fastball-cutter guy. It’s was more of an even distribution in 2018 (45.3 FB, 54.7 CT), but having Kenley Jansen throwing a cutter almost 90 percent of the time could give hitters too much of the same thing. Still, Colome is a quality reliever who’s set to make $7.3 million in his second year of arbitration, which mean’s he’ll be near $10 million next offseason. The cost in prospects shouldn’t be as great as the guys mentioned above, so it might be worth it as opposed to paying $10-12 million a season for a reliever on the open market. Nicasio, 32, is an old friend and his 6.00 ERA in 2018 was ugly, but he’s much better than that. He had a 2.99 FIP and 26.2 K-BB%. His ERA is inflated by three bad outings — 2/3 IP, 12 ER. That’s not to dismiss it, but it also shows that ERA (especially reliever ERA) isn’t the best measuring stick for bullpen guys. He posted a career-best chase rate (33.8 percent) and swinging strike rate (11.1 percent) and could be a nice value at 1-year, $9 million in terms of short-term commitment and acquisition cost. Noticeably missing here is Dee Gordon. Many a Dodger fan laments that trade (even though it was very good for the Dodgers), but if you’re wondering why, just go look at his FanGraphs page from this season and you’ll know. But if you want me to save you a click, he had a 77 wRC+ and walked nine times. Not a 9 percent walk rate … but literally nine walks (1.5 BB%). That’s not going to get it done at any level. It seems the M’s are ripe for raiding. Diaz would be incredible, but it’s highly unlikely. Paxton would be amazing, but the competition will be stiff. Segura makes a lot of sense, but there are other obstacles. Colome and/or Nicasio might be the best option(s). With the Dodgers-Mariners trade history, I’d be surprised if a deal weren’t consummated at some point this winter.